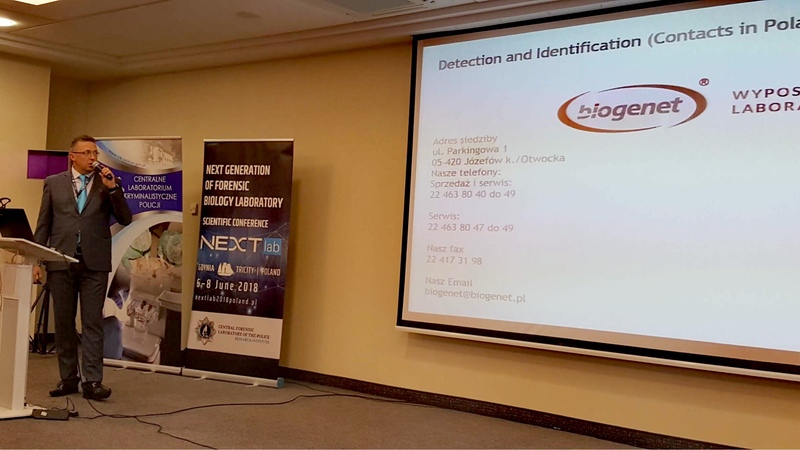 From 6th to 8th of June, Health Gene Technologies’s partner in the regions of Latvia and Poland, Biosan, has participated in the international scientific conference NEXTlab Next Generation of Forensic Biology Laboratory, which took place in Gdynia, Poland. · Education and training for forensic experts. The conference was an excellent opportunity to present the newest products, services and technologies to a wide range of forensic geneticists representing national and foreign forensic medicine institutes, medical universities and forensic laboratories. Among others, Biosan was proud to present the products of Health Gene Technologies Co., Ltd. Biosan Product manager and Head of Molecular Diagnostic division Mr. Andrejs Gaivoronskis (M.Sc. Biol) participated with dedicated presentation about possibilities and advantages of using SureID® 21G Human STR Identification Kit. The company Biosan was founded by Vasily Bankovsky (Ph.D., Molecular Biology) and Svetlana Bankovska (MSc., Biochemistry) from the Institute of Microbiology in the Latvian Republic Academy of Science. Biosan’s philosophy is to develop modern exciting personal products for sample preparation in the field of genomics, proteomics and cellomics. The latest trends are the result of diagnostics technology shifting on a level of detection of bio-polymorphism of genetic, metabolitic and cell diseases. Innovation, design and focus on the individual consumer proved to be in demand in the world biotechnological market and during recent years our Personal Laboratory products have become well-known all over the world under different leading brands. Keywords: Biosan, Health Gene Technologies, Forensic, HGT, SureID, STR, Genetics, Biology, Conference, Poland, Gdynia.